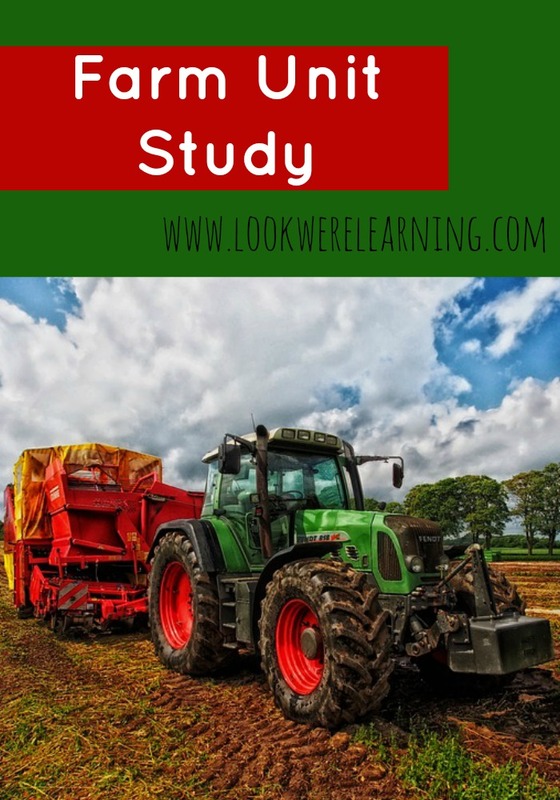 Homeschool Unit Studies: Farm Unit Study - Look! We're Learning! Learning about farms is one of the most common preschool themes for young children. Which is why I wanted to share a simple farm unit study that you can share with your early learners too! Farms are great learning themes for spring or fall, since fall is for harvesting and spring is when most baby farm animals are born. 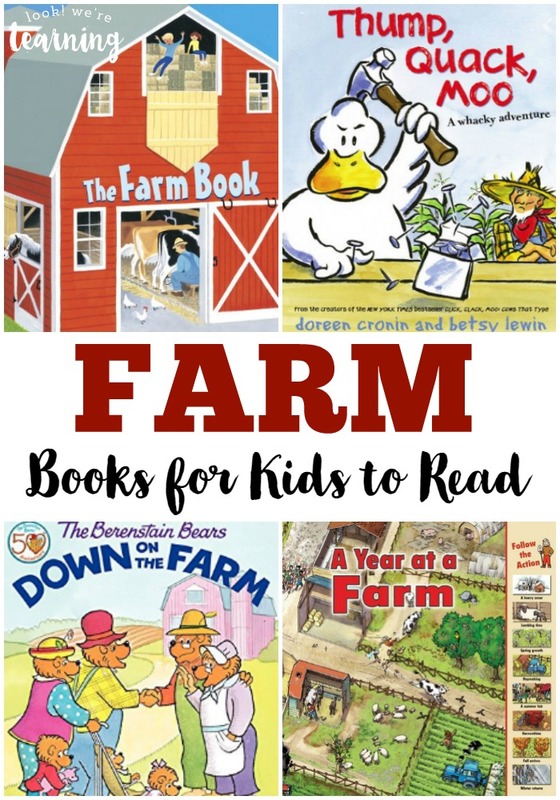 The farm activities for kids, farms for kids videos, and farm printables below are awesome for helping kids learn about this important part of our society. If you love this farm unit study, don’t miss our animal homes unit study or our hibernation unit study! 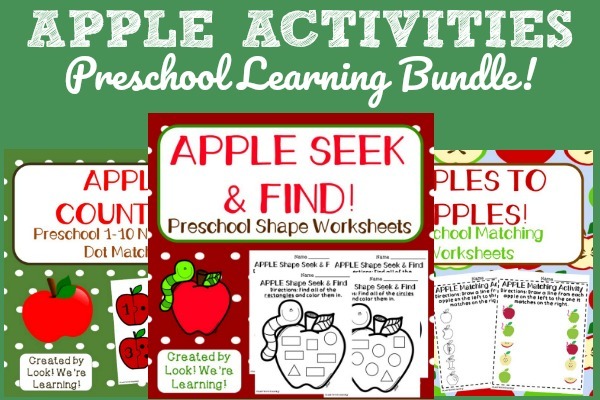 Both of these are also great for putting together your autumn learning plans! 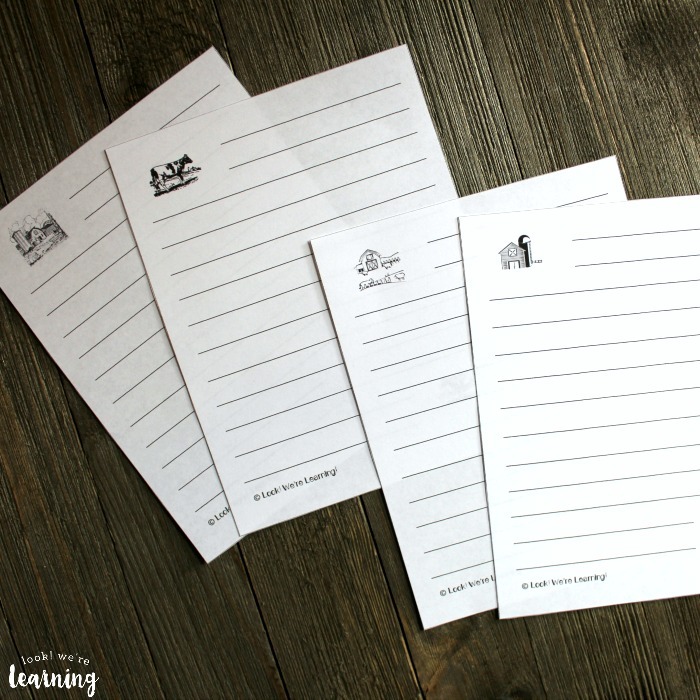 Get your farm unit study started with these printable farm notebooking pages! These are good for writing down facts the kids learn from the videos below! 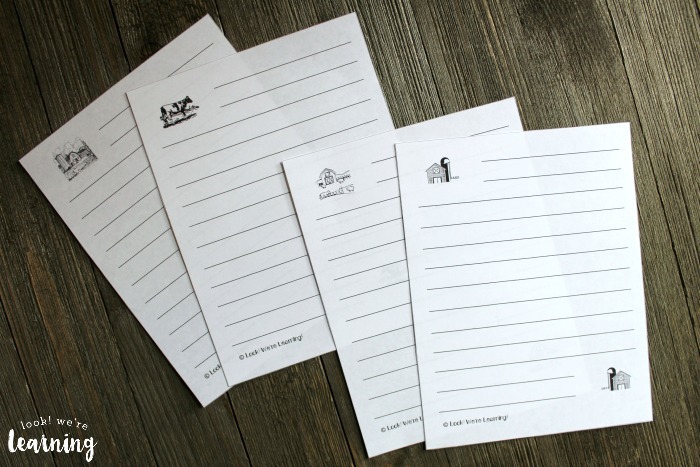 You can pick these farm notebooking pages up for free when you sign up for our Subscriber Library! Watch the following video about farms and then let the kids try to answer the questions below. Watch the following video to learn about common farm animals. After watching, see if your kids can name some animals that usually live on farms. 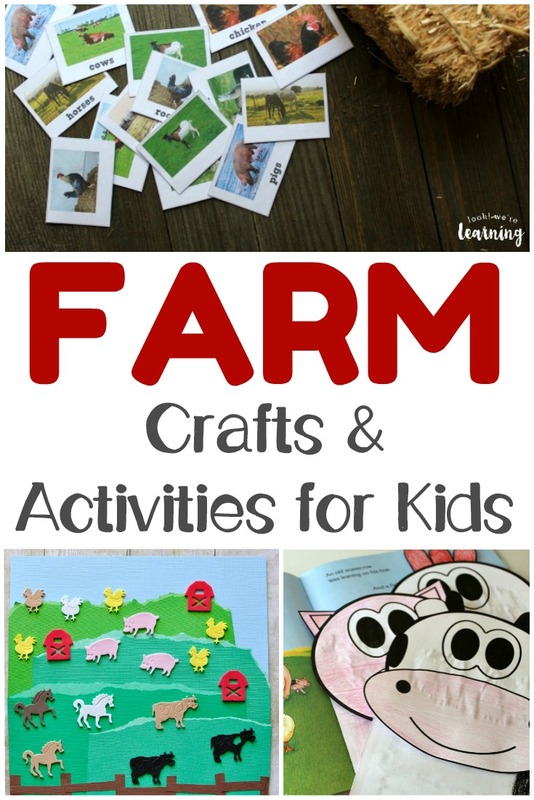 Try some of these fun farm activities for kids and affiliate farm products to help kids learn! 1. 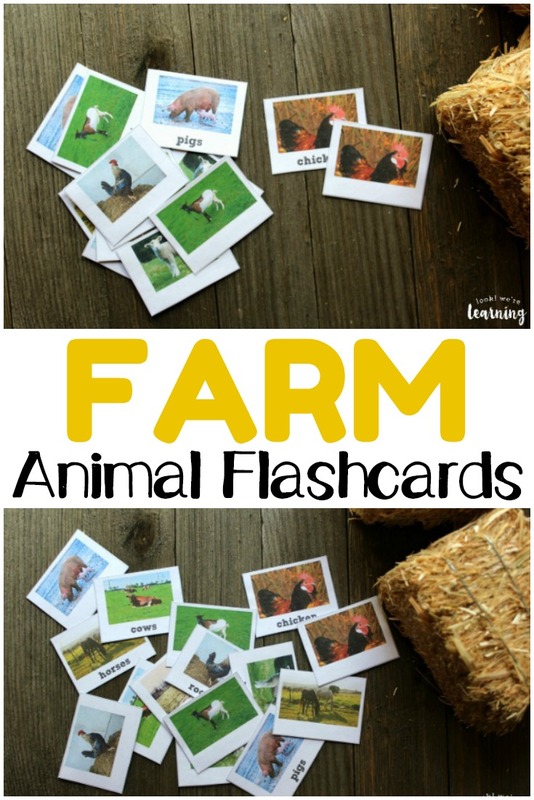 Printable Farm Animal Flashcards – Look! We’re Learning! 3. Coffee Filter Pig Craft – Look! We’re Learning! 6. Farm Shoebox Diorama Craft – Look! We’re Learning! 9. Farm Paper Bag Puppets – Look! We’re Learning! 13. Farm Counting Worksheets – Look! We’re Learning! 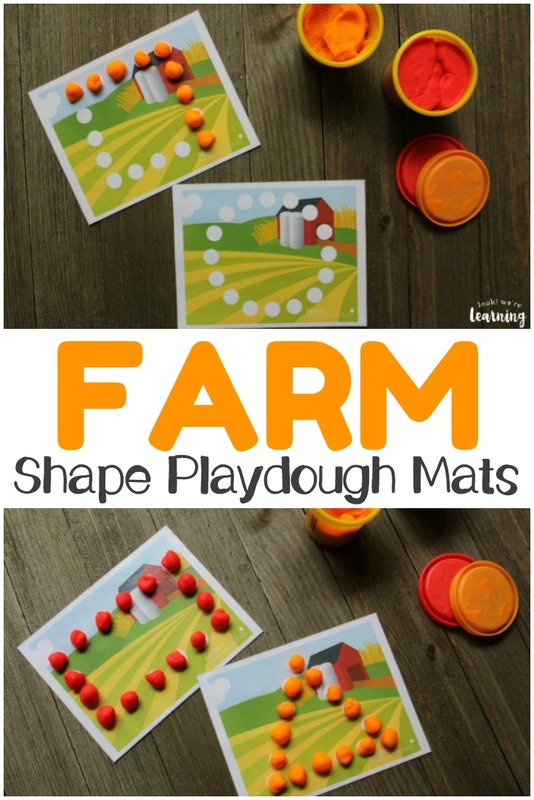 Want to see more ways to make learning about farms fun during your farm unit study? 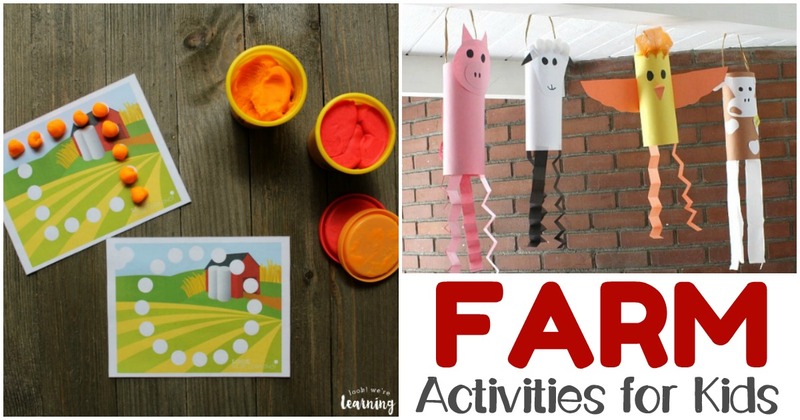 Discover more fall learning ideas on my Fall Activities for Kids Pinterest board!